In a Wednesday vote of the Maryland Senate, the body unanimously passed legislation (Senate Bill 891) to protect ticket buyers in their purchase of athletic, recreational, or entertainment event tickets. 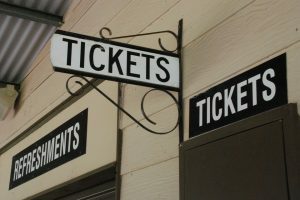 The legislation prohibits the sale of tickets that are not in the possession of a given re-seller unless that re-seller discloses that they are not in possession. If the re-seller fails to obtain the promised tickets for a consumer, the consumer must then receive a refund within 10 days after the final day of the event for which the tickets were sold. If a given re-seller fails to provide a refund within the allotted ten days, they will then be in violation of the Maryland Consumer Protection Act and subject to a fine of up to $10,000 for each violation and up to $25,000 for each repetition of the same violation. The main focus of the legislation from Senator Brian Feldman (District 15 – Montgomery) is to combat the practice of speculative ticketing which is essentially listing tickets for sale before a given re-seller has them and then reselling them at a much higher price. The practice is banned in multiple states, but this legislation takes the step of allowing ticket re-sellers to continue in the practice as long as consumers are made clearly aware. Feldman is the lead Senate sponsor of the legislation and is joined in co-sponsorship by four bipartisan Senate colleagues including Senators Benson (D- District 24), Hayes (D- District 40), Hersey (R- District 36), and Klausmeier (D-District 9). The bill is cross-filed in the House of Delegates as House Bill 934. House Bill 934 is sponsored by House Economic Matters Committee Chairman Dereck Davis (D- District 25). Senate Bill 891 now moves to the House of Delegates for consideration. House Bill 934 has passed the House of Delegates and is now before the Senate Rules Committee for consideration. No new hearing information for either bill is available at this time. All legislation must successfully pass both the Maryland Senate and the Maryland House of Delegates by Sine Die on Monday, April 8th to be sent to Governor Hogan to be approved or vetoed.